The CRYSTAL needles are exceptionally sharp so the skin heals faster. The Crystal cartridges long tapers and medium tapers, are made of extremely hard steel, ensuring the best ink flow and sharp contours during tattooing. 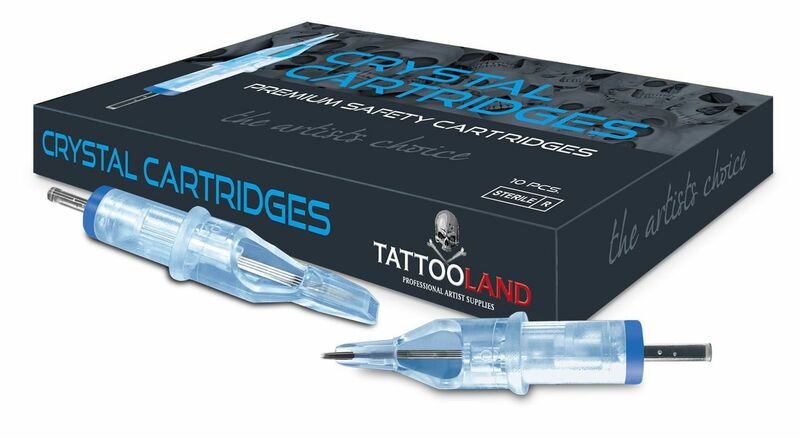 The CRYSTAL cartridges have a transparent tip so you can see the needle and ink flow clearly while you are working. A safety membrane system ensures that no ink or blood can get into the grip. See all Crystal cartridges on this page. Are you looking for needles? Check out the Crystal One needles here.